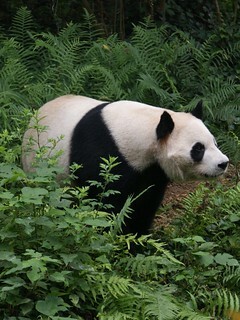 Highlight today on an impossible to miss if you live or travel in China, Chengdu city and its over-the-world known pandas. I am bit late to publish this article as we traveled there last summer and I already share two initial posts on our trip: Leshan Buddha and Emei Shan. When you speak about animals in China, you are directly referring to these big white and black teddy bears, the pandas, which seem to have a nice way of life. 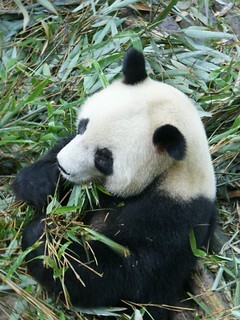 They are all day eating bamboos, playing with their friends or sleeping. 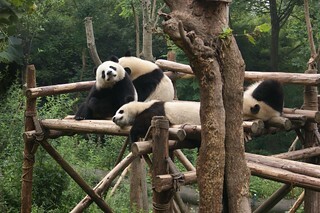 During our stay in Chengdu, we went to the Panda Breeding and Reseach Center (ticket – 58 yuans) to confirm this idea. This center is the most famous in the world to meet pandas. 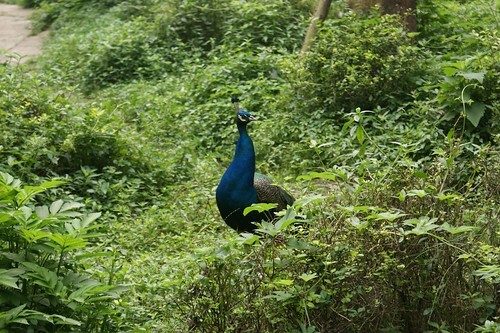 It opened in 1987 to study and especially to protect this endangered species. 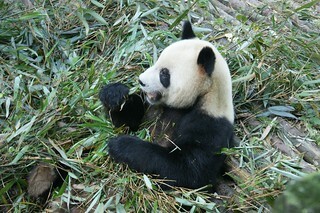 Giant Pandas in their natural area are less than 1000 in the world. 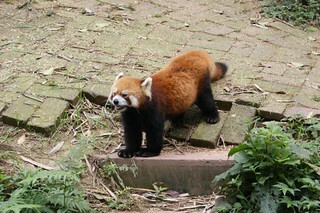 They are only found in 3 provinces across China, Sichuan, Shaanxi and Gansu. 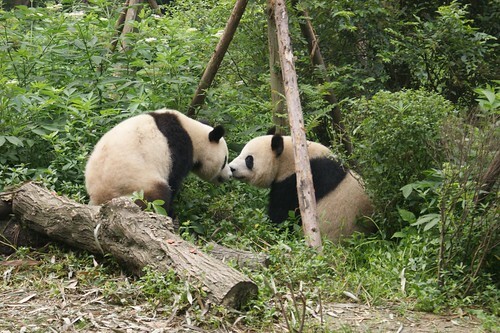 Panda Center’s experts tried to reproduce the natural conditions inside the center (dense vegetations, large run with few animals…) to permit the pandas to evolve in an idyllic area and protect them fromthreats from outside world. 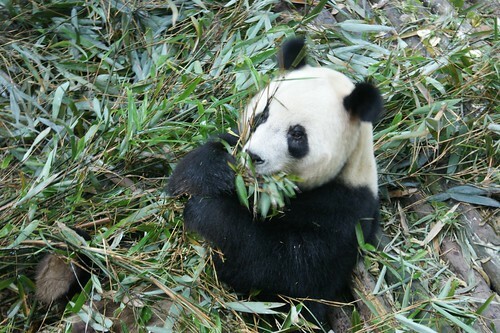 They also built a specific medical center, a nursery and cultivate large fields of bamboo (a giant panda can eat approximately 20 kg of bamboo per day). This center is a real tourist success with large amount of visitors every year but a bigger hit on protecting the threatened species. Indeed, several cubs have been born in the center thanks to veterinaries and local experts. 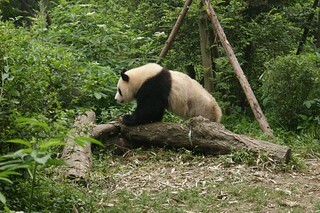 The Giant Panda (Big white and black bear) is not the only species in the Chengdu Center. 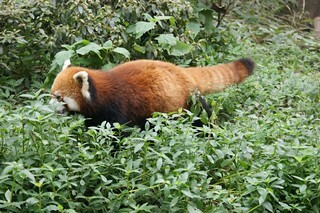 It is possible to see one of its cousins, the Red Panda. This animal is slightly bigger than a big cat and is mainly active during nights. It feeds also on bamboo. More information is available on Wikipedia.